Home › 2. Readings of fairy magic › Very Inspiring Blogger Award! 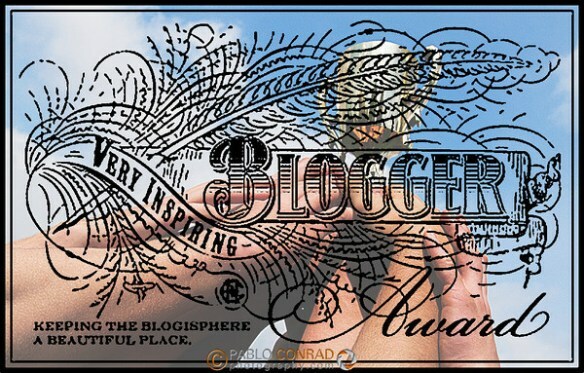 Some time ago, I received a Very Inspiring Blogger Award! This is an award from a dear blogger, Dear Kitty. Some blog, who has a great blog, full of very interesting articles. Much thanks Dear Kitty. Thank and link back to the blogger who has nominated you, then post the award logo to your blog, write a post on the nomination and nominate and link to 15 other very inspiring bloggers. Notify them and tell 7 things about yourself. 5. News songs in May and June 2013 in the series Ti-Cœur ANGEL. Congratulations! 🙂 And thanks a lot, I am very honoured to be nominated. Hi bentehaarstad. I like your good blog with the discovery of beautiful landscapes, information, and pretty pictures. Greetings. Thanks very much for nominated me! Hi danaiana. Your blog is good, nice to see, with pictures fresh, natural and original. Have a good day. Congratulations to you and Thanks for the nomination !